For outdoor sports, First Floor brings ITF approved, rubberized surfaces by Nova Sports (USA). These courts have a great appearance, exceptional durability, and precise speed. 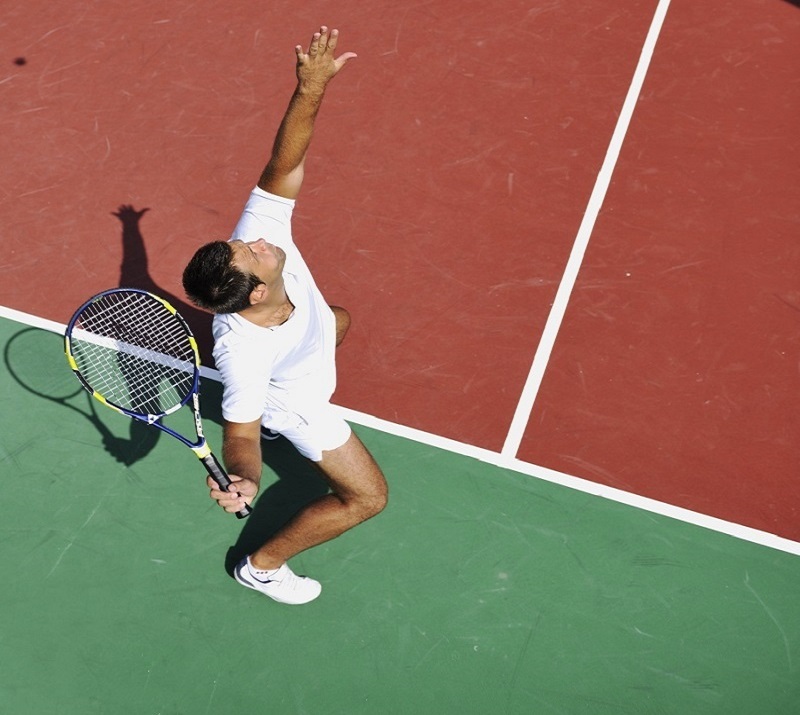 Rubberized surfaces are available for outdoor tennis, basketball, volleyball courts, as well as running tracks. Nova Ultra Cushion is ITF approved tennis court system. Here, the number of layers is nine which consists of 2 coats of Ultra-cushion (Large Rubber) system, 3 coats of Nova Cushion (very fine EPDM rubbergranules) and 2 coats of Nova combo surface. The system provides a very good cushion which makes it suitable for all types of professional play with a very attractive price.